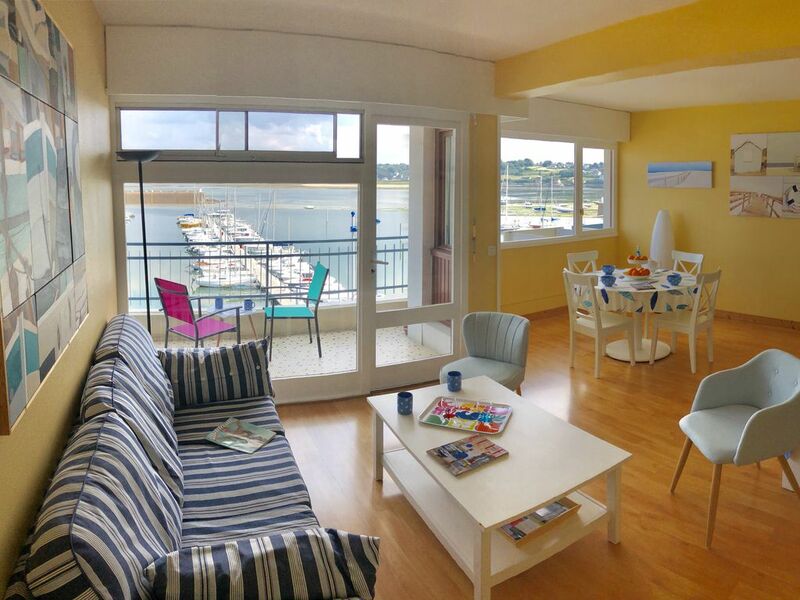 At the Port of Perros-Guirec, this apartment is ideal for 3 people (It has a real bedroom and a comfortable extra bed is installed in the living room). Located on the 3rd floor with elevator of a beautiful secure luxury residence. A dining / living room overlooking the Port. A real spacious room with a bed for 2 people. dimension 190cm / 140cm (new bedding). Duvet. An independent kitchen fully equipped. All shops and services are within 100m of the residence. Ornithological station of Ile Grande. Nautical center, Surf course .. Fishing course at sea ..